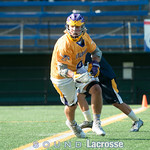 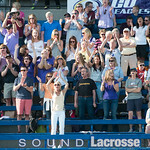 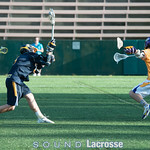 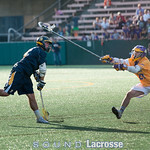 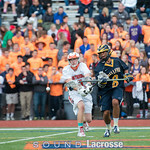 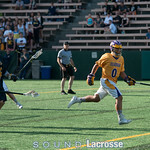 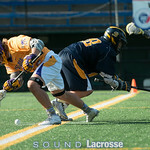 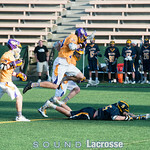 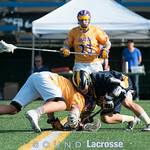 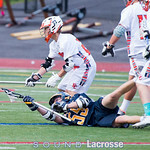 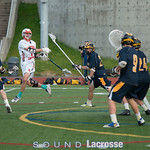 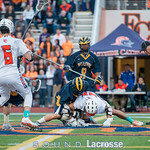 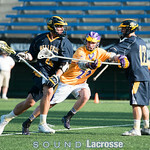 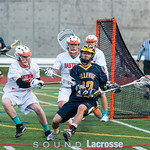 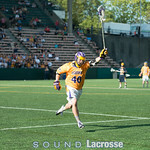 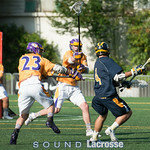 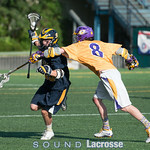 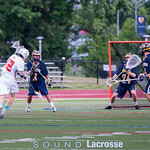 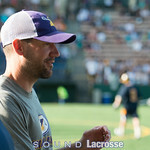 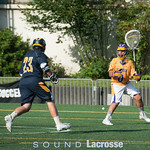 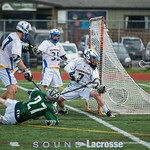 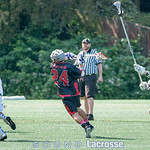 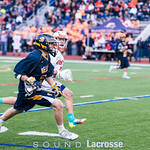 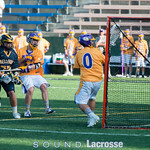 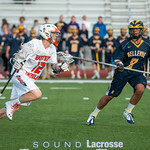 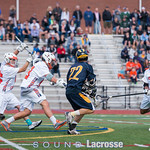 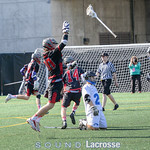 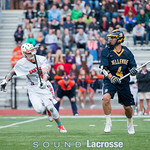 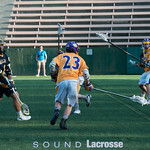 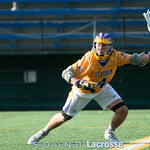 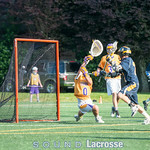 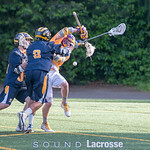 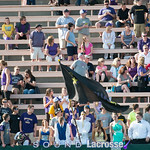 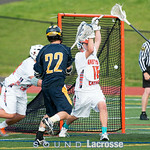 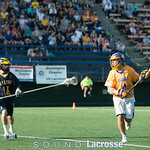 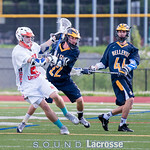 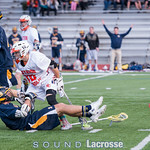 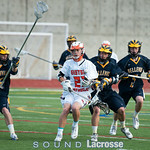 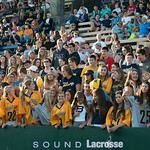 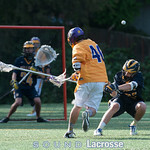 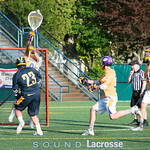 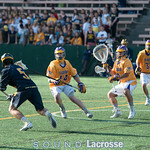 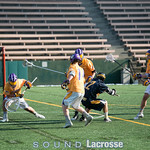 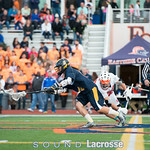 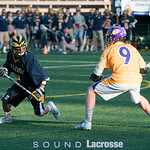 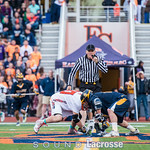 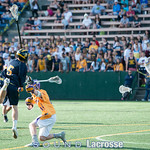 The Bellevue Wolverines surge past a tough Woodinville Falcon squad with a 4-goal run in the second quarter that led them to their 10-6 victory at Woodinville High School last Wednesday. 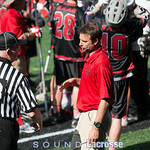 Story by Michael Thornbloom. 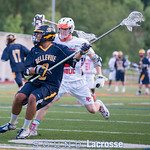 The Falcons have traditionally put together good games in recent seasons against the Wolverines but have always fallen short of the win. 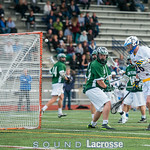 Bellevue opened the game with a goal but Woodinville answered back with two of their own before the Wolverines tied that first quarter 2-2. 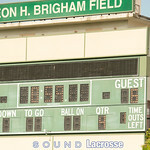 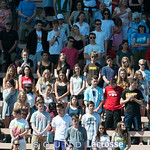 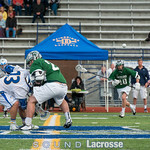 It was looking promising for Woodinville when they took the lead 10 seconds into the second quarter. 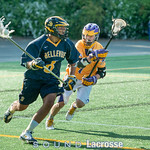 Bellevue came back to take the lead with two more goals but the Falcons tied it back up and forced a turnover on the next possession giving them the advantage prompting head coach Pete Crowley to call a timeout and focus his squad. 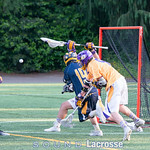 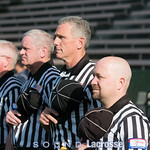 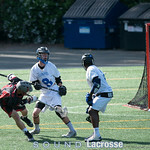 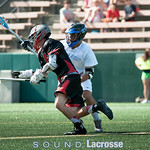 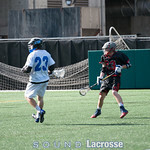 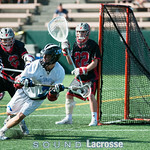 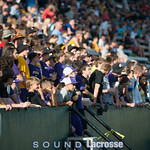 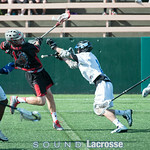 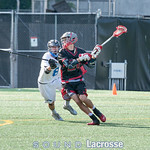 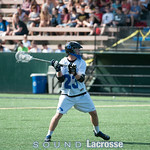 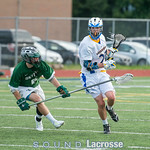 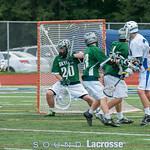 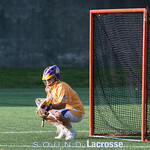 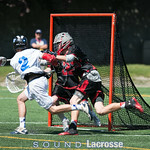 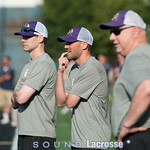 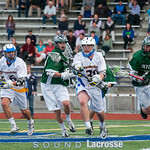 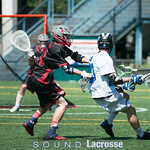 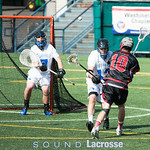 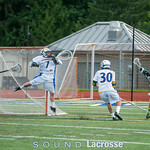 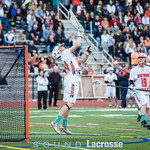 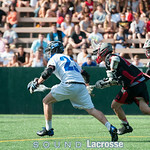 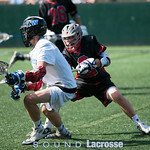 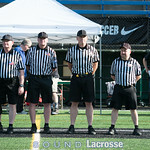 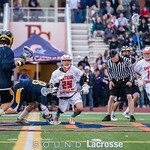 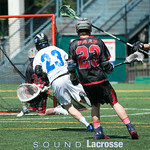 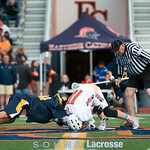 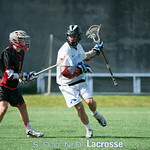 The game only turned for the worse for this Woodinville team when Bellevue went on a 4-goal run in the final two minutes of the half making it an 8-4 game. 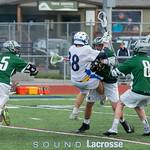 Woodinville never fully recovered from this lead in the final half of the game as both teams slugged it out for 2 goals a piece marking another Bellevue win. 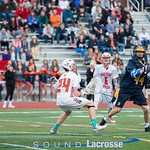 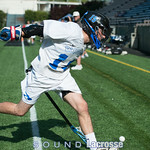 Junior attackman Nate Podolsky led his team with 5 goals on the night, two of which came in the 4-goal run in the second quarter that provided his team with a winning lead. 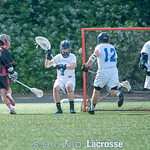 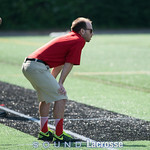 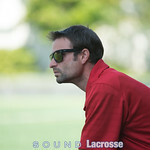 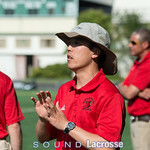 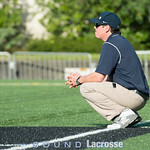 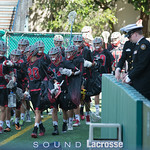 This victory was important for head coach Nick Welton and his team after coming off a tight 5-4 loss to the Juanita Rebels just four days prior. 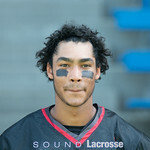 “We didn’t start out where we wanted to start out but that’s the journey of a season.” said Welton. 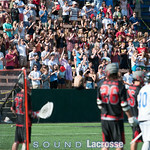 It’s moments like these the Welton uses to keep after his team and get them into championship form come May. 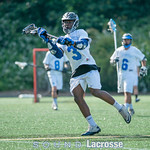 With the NW Invitational upon him this weekend and a big Florida trip the week after, there will be plenty of these defining moments to come for his team as they grow into themselves and discover their identity. 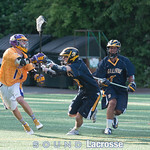 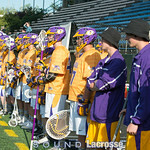 Bellevue moves to 2-1 in their conference sitting underneath the 3-0 Mercer Island and Juanita teams. 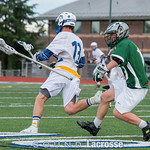 Their next conference game will be against Bothell following the NW Invitational matches against Claremont (BC) and Lakeridge (OR). 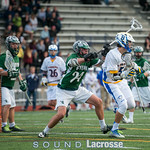 Woodinville remains winless in their conference with an 0-3 record but they have gone down swinging. 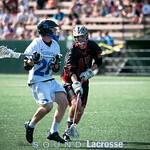 Crowley will need to find a way to get his boys to close out these games with their next match coming against Mount Si next Tuesday at Woodinville High School.